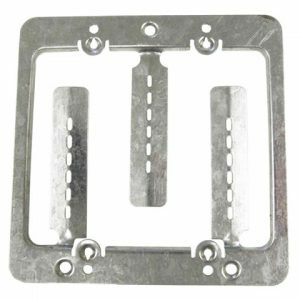 1-Gang Low Voltage Mounting Bracket – Screw-in Type. Designed exclusively for low voltage Class 2 installation. 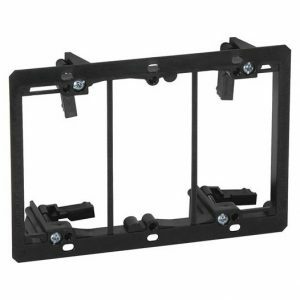 This Dual Gang low voltage bracket is designed exclusively for low voltage Class 2 installation. Screw-on type. It has a Built-in loop to tie off cable. 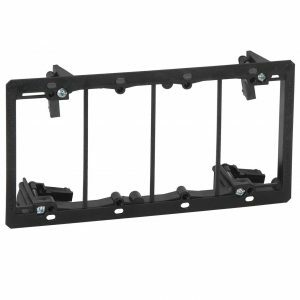 This bracket design is UL and CSA Listed. 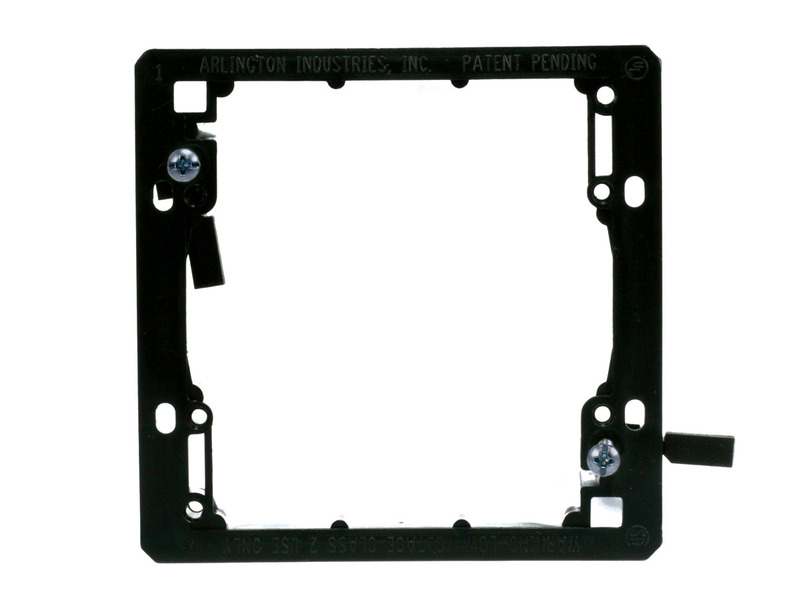 The bracket is easy to install, & used for mounting low voltage wires(phone, internet, TV, video).providing protection for cable as it runs through the knockouts in metal studs. Mounts low voltage Class 2 wiring devices to existing wall. Adjusts to wall thickness 1/4″ to 1″. Works well with paneling and drywall. 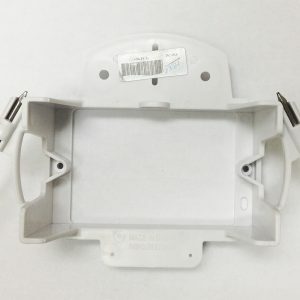 *The color indicated can vary in tone and/or between other similar products, this is due to different production runs and manufacturing facilities. This phenomenon is expected, whether sold by RTC Online or any other vendor. Also, Individual pieces may also vary very slightly in color from each other.